Looking to get your project off to the best start? Obtain accurate, easy to manipulate CAD & PDF survey drawings for your design job. Looking to get your project off to the best start? Obtain accurate, easy to manipulate CAD & PDF drawings for your job. Working with architects and designers, our team undertakes measured building surveys and provides you with accurate, easy-to-manipulate CAD and PDF drawings, ensuring your designs are reliable. Established in 2013, we are a modern land and building survey company working with construction professionals to provide reliable, accurate and detailed information for your projects. Operating across London and the South East, our experienced team use the latest Leica equipment from total stations to 3D scanners. We ensure your floor plans, sections, elevations and more are as accurate and detailed as possible. Having completed over 1,000 surveying jobs, including measured building surveys, topographical surveys, level surveys and more, you can rely on our team to pick up every detail required for your project. Have confidence in your design – Your measured survey can be relied upon for accuracy as we operate to Royal Institute Of Chartered Surveyor standards, which are available here. Design your projects quickly – Your drawings are organised and easy to use. We ensure elements such as drawing layers, line weights, aligning elevations to plans are completed properly in order to make your life easier. Free up your time – As a qualified, busy, designer your time is best-spent designing, not trudging around your client’s house measuring up for hours on end. Let THS Concepts do the tricky work of undertaking the measured survey and free up some precious time! Great client relationships – We aim to make your life as easy as possible. Our 4.9 star Google & “great” TrustPilot reviews demonstrate the level of customer service we provide both before and after a project has finished. Know that you are covered – As a professional surveying company, we carry all the relevant insurance to give our clients confidence in what we produce. We offer money back guarantees on all our work and have £5 million in both professional and public liability insurance. Our experienced surveyors visit your property and undertake a detailed measured survey. We work to your specifications, or suggest our own based on previous jobs. Following your survey, you receive your DWG CAD file showing plans, elevations, sections etc. The drawings will be presented in an organised, easy-to-manipulate format. We also provide your drawings in PDF format, allowing you to easily print, mark up and measure both in the office and while out on site. Our surveyor takes plenty of photos on site, which are often useful during your project. We can send these in an easy-to-download Dropbox Link. We ensure you are 100% satisfied with the drawings and service we provide. Updates and amendments are no problem and are undertaken quickly to get your project moving. We love helping you with projects! If you have an issue with CAD or need some tips to work effectively then we are quite happy to help, free of charge. Do You Need a Quote or Have a Question? What Exactly Is a Measured Survey? 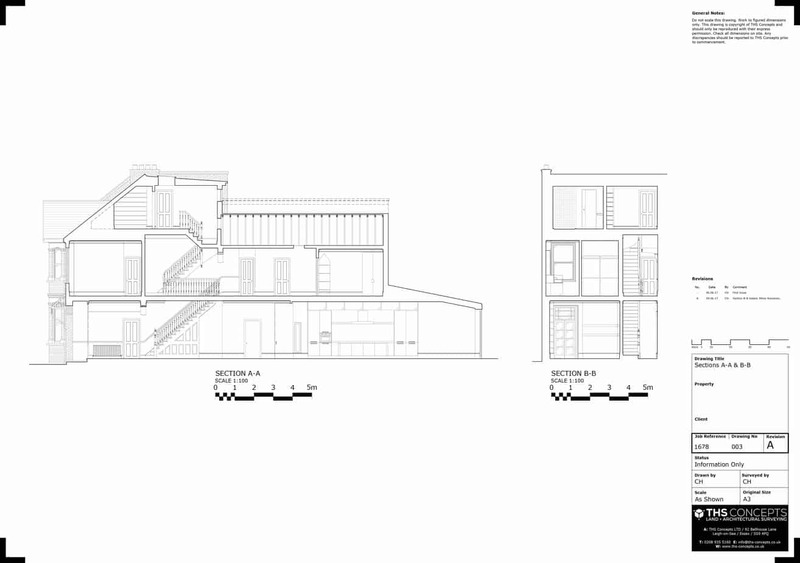 A measured survey refers to the process of measuring and producing drawings of a building. The process is typically undertaken prior to the start of a building project. The objective of a measured survey is to accurately record and present a true representation of a building or parts of it. Measured surveys are usually represented as CAD (Computer Aided Design) drawings. A measured survey is important when beginning a construction project. Having a set of accurate, high quality drawings of your project is important to ensure future designs are workable and unnecessary expenses are minimised. Measured surveys are undertaken using a range of tools from simple tape measures to sophisticated 3D laser scanning devices. Once the survey team has undertaken the process of a measured survey, we process the data and produce a range of drawings for you. Typical drawing types include floor plans, elevations and sections drawings. No two measured building surveys are the same. That’s because no two properties are identical and price can vary based on a number of factors including property size, layout complexity, number of drawing types requested and more. When we receive a quotation request we use tools such as Google Streetview and Google Earth to gauge the expected complexity. We then issue a tailor-made quotation outlining our fixed price costs and a suggested survey date. As a customer service-driven business we believe every client deserves the best, so we do our best to offer you the most competitive quote. We work to the highest surveying and drawing standards which helps to build long-term relationships with our clients. Ready to get your project moving. Visit our “start your project” page today. Getting the best cost for your project is important, use our measured survey specification document to specify exactly what you need and don’t need when getting a measured survey quote. Starting your project correctly from the start is vital to ensure the project goes well throughout the build. Here we list out 3 important reasons why it is essential you have a professional survey prior to any building works taking place. Are you an architecture student looking for some tips and tricks for undertaking your own measured survey? If so read our guide to undertaking a professional measured survey. Where Does THS Concepts Operate? THS Concepts provides clients with measured surveys across the country and internationally. We have worked as far away as Liberia in West Africa. However, most of our work is undertaken in London and the South East. This includes counties such as Essex, Hertfordshire, Kent, Suffolk, Surrey and Sussex. Click here if you would like to see a map of where we have previously worked! How Soon Can I Expect My Drawings? Our typical lead-in times for measured surveys are 5 – 15 working days (on average, we get to your site within 7 days of your initial enquiry). Each job has a different turnaround time for completing drawings; a full set of measured survey drawings typically takes 3 – 6 working days, while some basic CAD draughting services can be turned around the same day. What Drawing Types Do You Produce? In Which Formats Do You Provide Drawings? We provide our drawings in AutoCAD 2014 DWG format. We also provide you with PDF drawings that can be easily opened using a PDF reader or printed. If you need your drawings in any other format then please let us know. Do You Need a Quote or Have a Question? We Can Help! Professional floor plans for Architects, Marketing & more. On site survey service avaliable if required. Money back guarantee and unlimited free edits! Measuring heights of land, trees, boundaries etc. Design your land development scheme correctly. Producing plans, elevations, sections etc to Ordnance Survey.